To change or delete items, click on "Basket Contents". 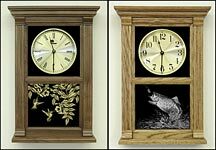 Choose the type of front panel you want from the clocks below. 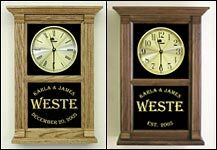 Choose other options, such as wood, face type, stain color, & etching design on the order form. 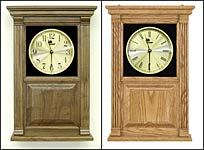 *Click on the image or title of item for pricing and to choose options. 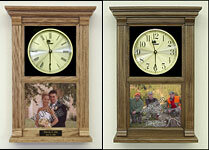 Choose the type of front panel you want from the clocks above.